Cognition Cyclery brings one of America's favorite pastimes to life through the many services that it offers. Whether it be a simple tuneup, a bike fitting or a buying a new bicycle, this shop, open since 2010, works with customers to ensure that their needs are being met. The weekly "Cog Road Ride" invites clients to ride with Cognition Cyclery staff for 30-35 miles each Saturday. 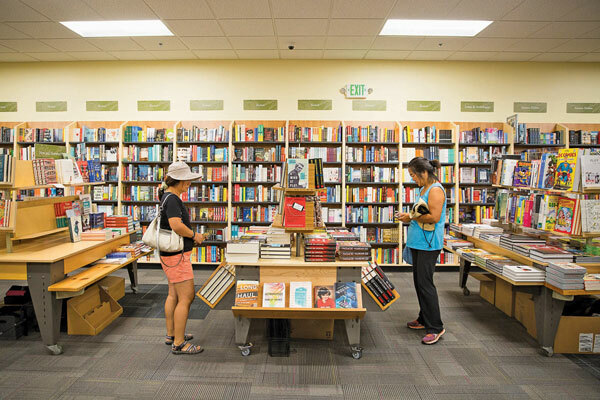 Dating back to 1851, Books Inc. has developed into a well-known Bay Area bookstore chain. It's had a branch on Castro Street in Mountain View since 2001, moving a few doors down from its former space last year. Aside from its large children's section, this shop partners with Red Rock Coffee to provide a weekly service called "Wednesday Storytime" for kids ages 5 and under. A "Pages and Podcasts Book Club" was started in May and is held every first Monday of the month for those wanting to participate in a discussion based on a selected podcast's theme. There are not many stores that sell clothing and jewelry in the same place as vintage furniture; however Therapy does just that. Offering a diverse assortment of items, this family-owned shop has been a reader favorite for years. "We have been built from the ground up on the understanding that everyone needs a place that makes them feel good about themselves and the world around them," Therapy's website says. 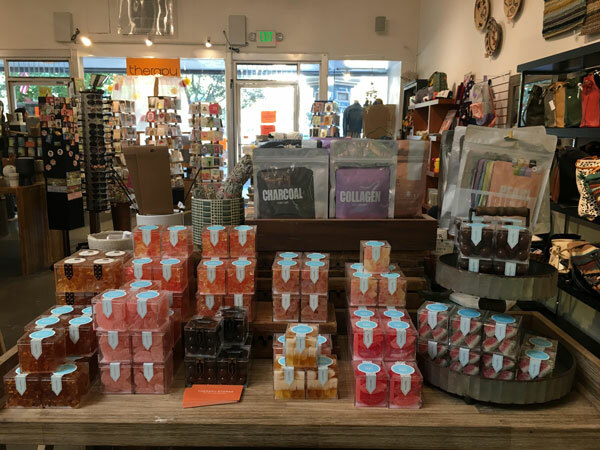 The store donates of 1 percent of its sales to local food banks and charities such as Second Harvest Food Bank and the Sonoma Relief Fund. Fleur de Lis, a family-owned and operated business for 33 years, offers a tasteful and fragrant array of buds, blooms and foliage for all occasions. From prom corsages and romantic bouquets to striking tropical flower arrangements and tasteful sympathy wreaths, this local florist can handle it all. Whether for cutting glass, mixing paint or repairing windows, it is no wonder readers voted Blossom True Value Hardware Mountain View's best hardware store. Open since 1973, this family-owned shop carries "a little bit of everything," according to staff. From houseware and small appliances to power tools and automotive supplies, you can probably find it at Blossom True Value Hardware.